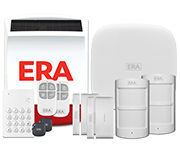 Perfect for medium-sized homes, the ERA vault alarm notifies you when the alarm is triggered with an SMS text alert or app notification. Touch screen control panel with LED display. 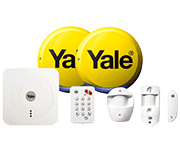 Includes pet friendly PIR motion detector. 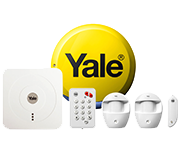 Connect up to 50 sensors, 50 RFID Tags and 10 remote controls.